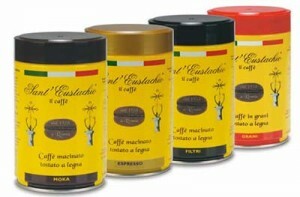 You drink Sant’Eustachio coffee every day (bravo/a! ); you place regular orders with us; however, you are just plain tired to have to enter the same information so often, in the shopping cart. You are right! Starting now, we’ll make your life easier and your purchase of this legendary coffee less expensive. Buy 5 or more tins and we’ll ship them to you the 3rd week of every other month, without shipping charges. Just email Martina and tell her how many tins you would like to receive, starting next week (next delivery will be 3rd week of March, then 3rd week of May… Hope you get it). Of course, you can disenroll whenever you wish. It will cost you another email to Martina. 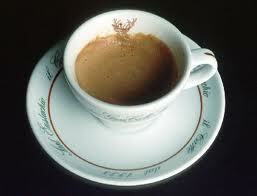 Start the day and a very Happy New Year with the best coffee in the world. And Grazie mille! If this would be available for other products you are importing, I would sign up immediately. Coffeewise I am preferring other brands, but that is a simple matter of taste and heritage and habits. Not familiar with this coffee. But if pasta became available in a “club” like this, I would jump! Would you consider that? Best coffee in the world? I’ll have to try it.